The Water Foundation has been fortunate in obtaining the support of two outstanding personalities as patrons of its work. Born on July 6, 1935, the Buddhist monk Tenzin Gyatso is the highest spiritual authority of Tibetan Buddhism. On March 27, 2003, he became a patron of the Water Foundation. 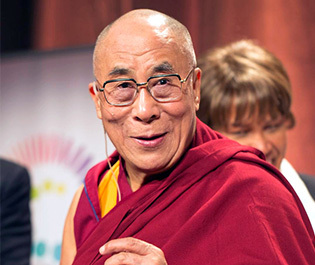 In recognition of his tireless efforts to find a solution for Tibet through non-violence and dialogue, the Dalai Lama was awarded the Nobel Peace Prize in 1989. 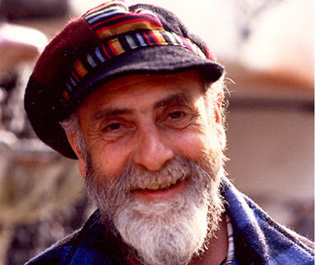 Friedensreich Hundertwasser was born in 1928 in Vienna, and died on February 19, 2000, on board the cruise ship Queen Elizabeth II while returning from New Zealand to Europe. He is one of the noted artists of our time, and was active for many years in the cause of ecology and environmental. Only a few weeks before his death, he became a patron of the Water Foundation. The Hundertwasser Foundation in Vienna kindly took over the role of patron and has been a loyal supporter of the Water Foundation for many years.